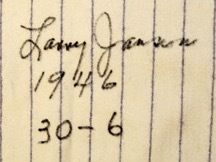 Larry Jansen broke into the major leagues as a 27 year old rookie after the New York Giants purchased his contract from their minor league affiliate San Francisco Seals. 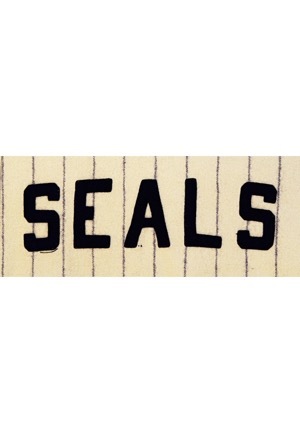 In 1946 with the Seals, Jansen led the Pacific Coast League (PCL) in wins (30), earned run average (1.57) and winning percentage (.833). His miniscule 1.57 earned run average still stands as one of the best seasons from a pitcher in the notoriously hitter friendly PCL. In 1947, Jansen established himself as a key member of the Giants rotation, finishing second in Rookie of the Year voting behind only Jackie Robinson of the Brooklyn Dodgers. Jansen enjoyed nine successful seasons in the major leagues, compiling five 15-win seasons, two 20-win seasons and two All-Star appearances. 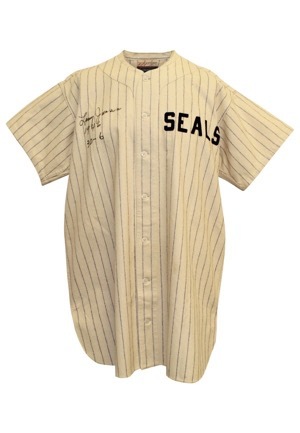 Offered is Jansen’s home flannel jersey from his historic 1946 season in the PCL. 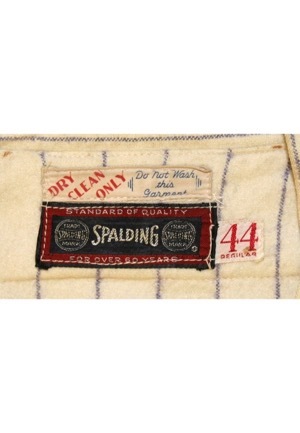 In the rear collar is the Spalding manufacturer’s tag with an attached box tag reading the size “44 REGULAR”. Adjacent above is a manufacturer’s tag with washing instructions. 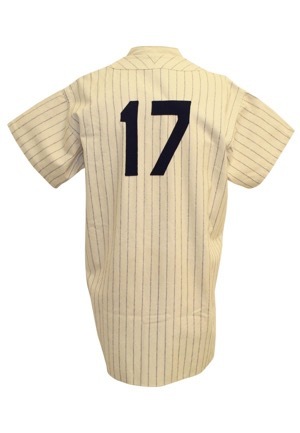 On the left chest reads “SEALS” and across the back is the player number “17”. All numbering and lettering is done in navy blue felt. Jansen signed on the right chest in black marker with the added inscription “1946 30-6” and in our opinion the signature rates a strong 8. 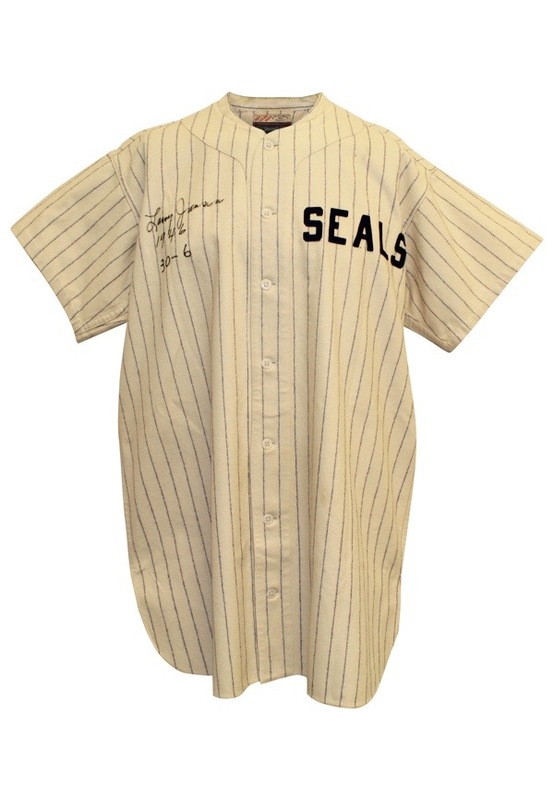 Originally sourced from Jansen’s estate, this jersey has remained in outstanding all-original vintage condition, a rarity in 1940s minor league flannels. This jersey is properly tagged, was presented to us as game-used and in our opinion shows appropriate use. Accompanied by a LOA from JSA and a Photo-Match.com LOA grading the flannel a perfect 10.